Reuleaux RX300 TC mod has the shape more sleek compared to the most Reuleaux series mod, it features OLED screen which has brand-new interface with separate battery bars. It is powered by 4 pcs 18650 batteries that can support max 300W output power. As the most classic model in the WISMEC Reuleaux series mod, Reuleaux RX300 TC mod has the shape more sleek compared to the most Reuleaux series mod which has hexagonal section. RX300 mod is powered by 4 pcs 18650 batteries that can support max 300W output power to satisfy persistent vaping, it features OLED screen which has brand-new interface with separate battery bars. 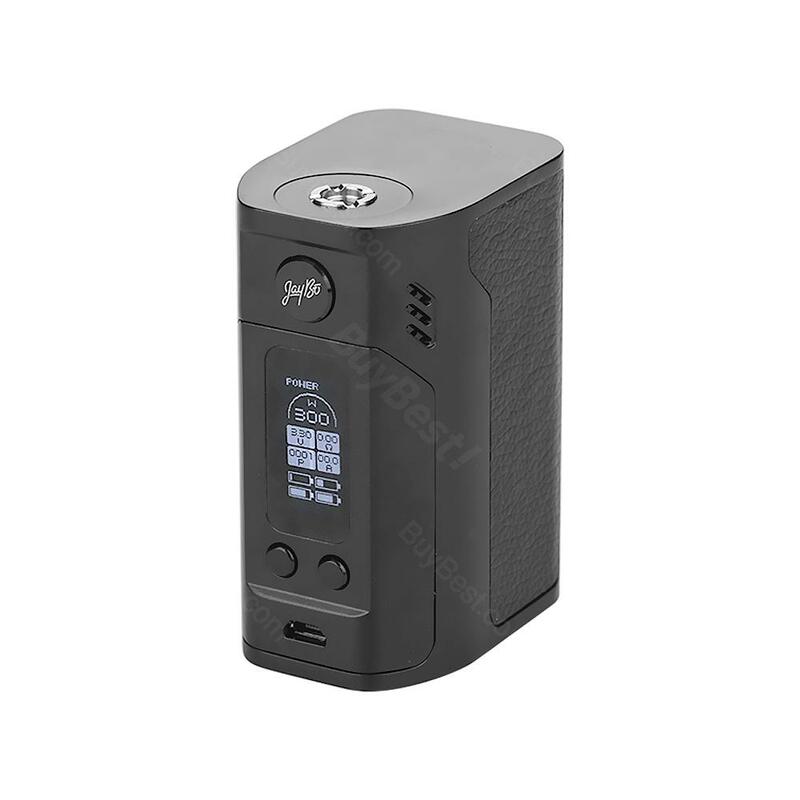 On the same time, Reuleaux RX300 Mod supports VW/TC-Ni/TC-Ti/TC-SS/TCR Mode, 510 spring connector prevents leakage, 2 Editions can be selected, Carbon Fiber Edition and Standard Edition. • It doesn't come with 18650 batteries, which you shall buy separately. • We suggest you use it with REUX Atomizer. Pretty good device, with firmware update, works well. Chunky as heck and heavy as all hell. Doesn't like running in TC mode, gets really hot, especially when vaping herbals. Indent around 510 connection is deep enough for juice to pool, and it runs into your 510 connection, so be weary if your tanks are leakers. Front panel also seems a bit loose under the fingers, but is holding so far. Normally very happy with Wismec products, but this one disappoints me a little. Postage was a bit worse than expected. Took almost two weeks to show in tracking and over 45 days to get to me in Australia. Happy enough overall though considering the ridiculously cheap price. Thanks Buybest. Come in 45 days, good quality, very pleased with the purchase. recommend. Everything is good, the product is original! Reccomended this seller! the delivery is average! about 4 weeks to Israel! thank you!!! Packed well, it's all perfect and original. seller is good. I am pleased. thank you!!! This mod is a beast. Its heavy and bulky with 4 18650 batteries, worth it!! Personally I love this mod just too big sized n heavy.